The DTU-1141B provides an ideal document viewing and signing experience with its 10.1-inch, full HD resolution screen, minimal footprint and thin profile. 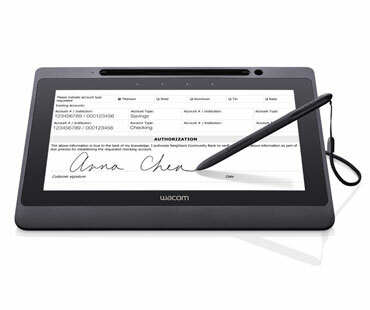 It operates as an external monitor, but utilizes Wacom’s patented pen technology to provide input for writing and signing. It is perfect for business applications that benefit from people working directly on screen with a pen, such as presenting forms for customers to review and sign electronically, or marking up and annotating documents. While not in use for signing, it can display slideshows or advertising videos. 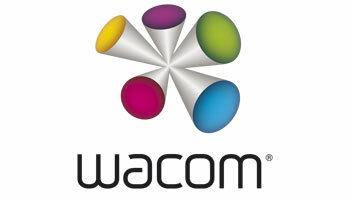 10.1” LCD boasts full color, full HD resolution (1920×1080) and wide viewing angle. Patented, cordless, battery-free pen with 1024 levels of pressure sensitivity for premium signing/writing experience. 4 capacitive-touch ExpressKeys can be assigned to common functions. Hardened, anti-glare surface provides high durability and easier viewing in different lighting conditions. VESA mounting holes allow you to use third-party arms and stands.